Manifattura Fontana S.p.A. began its activity in Valbrenta, an area of intense textile production dating back as early as 1704. In 1932 the present company began to transform cotton fibers into cotton wool for technical and sanitary use. This activity lasted for about 30 years. Following the development of the manufacture of synthetic fibers, the company opened a factory in Valstagna in 1963. This factory used the very first needle-punching machines. This machinery bonds the fibers together mechanically, creating a strong cohesion without needing glue or heat. Starting in the 70’s, thanks to a close collaboration with the customers and with the most highly qualified producers of polyester and polypropylene fibers, Manifattura Fontana S.p.A. developed the production of materials for building and engineering uses, e.g. supports for prefabricated bituminous membranes and, as from 1972, nonwovens for geotechnical use. During the 80’s, the production of geotextiles grew more and more, until, in the 90’s, it became the core business of the company. 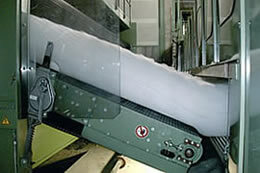 The careful selection of raw materials, the use of highly advanced technology in four modern production lines with a total capacity of 10.000 tons/year, the know-how developed over years of experience in the field of transformation of textile fibers has enabled the company to acquire greater space and consideration on the international market of nonwoven geotextiles. 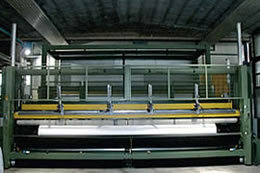 The continuous monitoring of the characteristics of the product according to the current European standards, the continuous research towards improvement through the execution of experiments and investigation, the updating of technical knowledge on geotextiles together with the participation in international technical organizations, a close relationship with its customers based on the idea of absolute transparency, correct behavior and flexibility represent the target and the undertakings of Manifattura Fontana S.p.A. for the future.